There may not be any light gun games on Nintendo Switch at the moment, but that hasn’t stopped accessory manufacturers from producing gun-shaped peripherals. 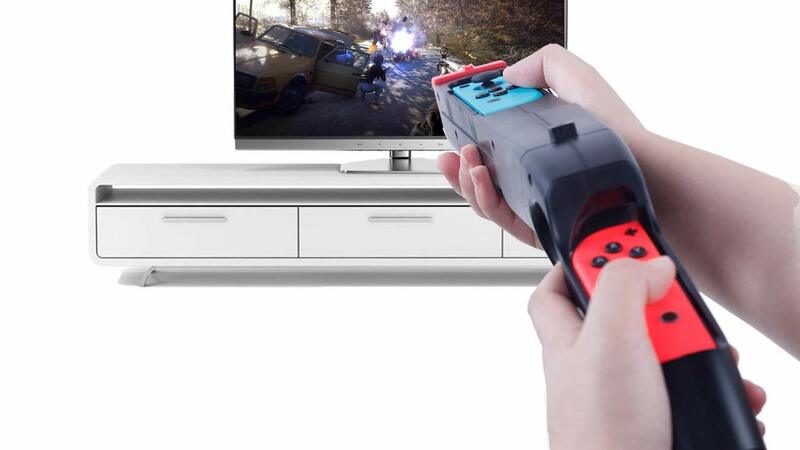 After the Bullseye Pro-Controller, we now have the Game Gun for N-Switch Joy-Con. This latest peripheral has, apparently, been “specially designed” for Wolfenstein II: The New Colossus on the portable home console. That has looked to make the first-person shooter “more realistic and interactive,” locking the left and right Joy-Con in place in two locations on the hunk of high-quality black ABS plastic. There’s also the promise of a “worry-free lifetime warranty,” if you have complaints about the $19.99 peripheral. There has been one customer review that has been left on the product listing so far, that paints a surprisingly positive picture.